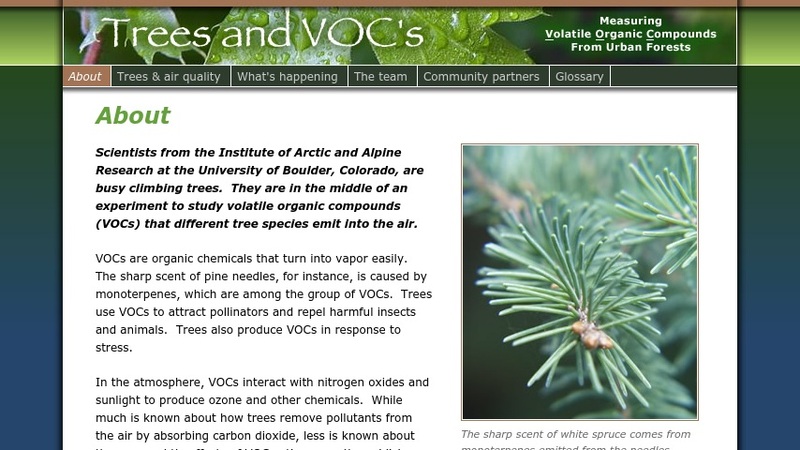 This web site describes a research project to measure volatile organic compounds emitted from species of trees and shrubs found in urban areas. Topics include a description of the project and a section on trees and air quality. A page updated each month or so reports field and lab work on the project. There is also a glossary, profiles of community partners, and profiles of the scientists and students involved in the project.